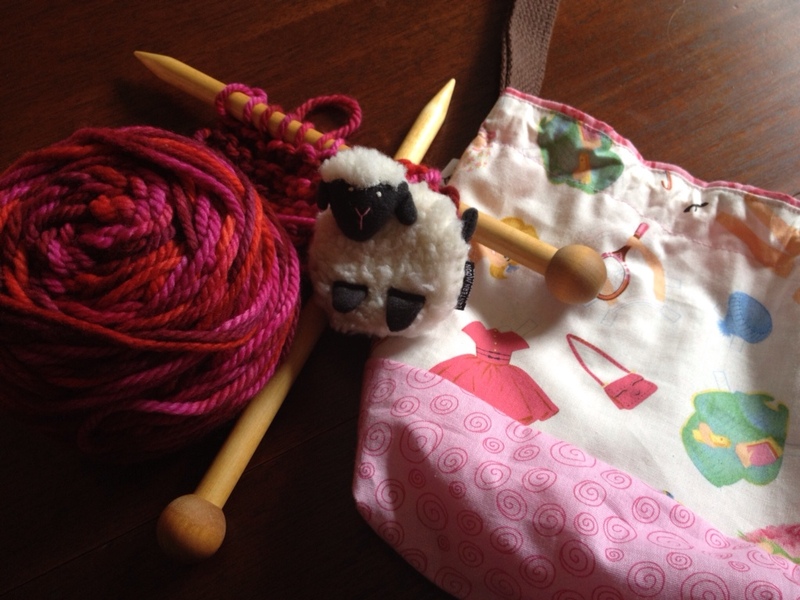 malabrigo bulky yarn in red and pink, a project bag, and a sheep tape measure. I also dug out some size 17 needles that I used when I first started knitting. I was planning to teach her to finger knit first, but when S saw the needles, she wanted to knit NOW. Basically this means that she sits on my lap and hold the needles while I knit, but that’s ok. She also like the rhyme about “under the fence, catch the sheep,….” She’ll figure it out eventually. I’m just thrilled she’s interested. Heck, maybe in 5 years we will be going to fiber festivals together. On Wednesday the kids and I road tripped 8 hours to my homestate for a visit with my parents, grandparents, and my sister’s family. S showed off her present, and her knitting progress, and suddenly my seven year old niece M became obsessed. All kinds of turn taking, grabbing, and crawling on my lap ensued. In the interest of family peace, I volunteered to take M to the local yarn store to pick out some yarn and needles (for M only; I resisted temptation while there.) We returned home and I got her started, but then she was off and running – she picked it up really quickly and barely needs my help. 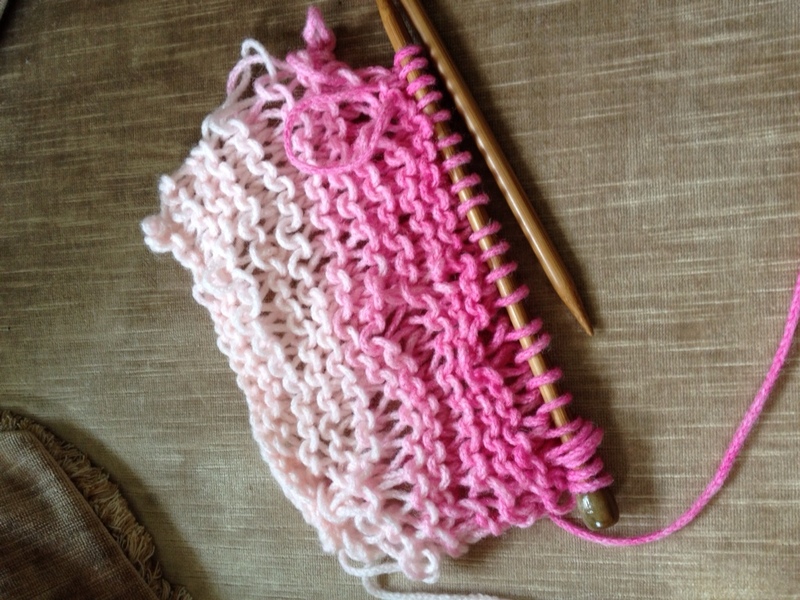 My sister doesn’t knit, but I’ve promised my niece to facetime with her if she has questions. I showed niece M Ravelry this morning, especially the mini mochi stuff. She is hooked. My sister is both amused and I think a tad bit worried about her daughter’s new obsession hobby. I’m not going to reveal the extent of the slippery slope that may have begun this week. But my favorite niece will be getting a box full of stash yarn and a teeny tiny mini mochi from Aunt Julie…. Great to hear you are able to share your passion with the next generation. It’s awesome how technology has allowed us to share in the craft. Great post.